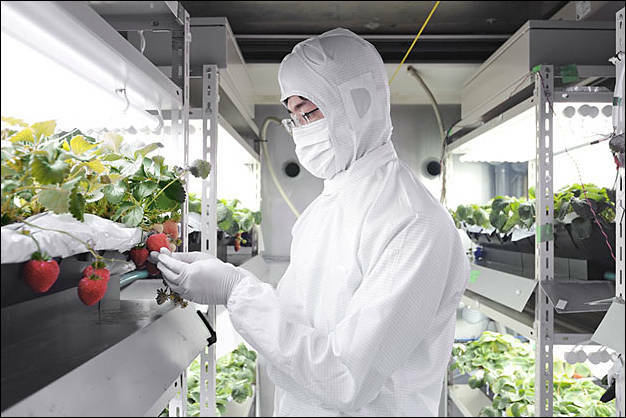 Electronics maker Fujitsu Ltd. has begun selling low-potassium lettuce, which is grown in a special clean room at its semiconductor plant in Aizu-Wakamatsu, Fukushima Prefecture. Toshiba has announced a similar initiative and has begun construction of a vegetable clean room at an idle semiconductor facility in Yokosuka, Kanagawa prefecture. 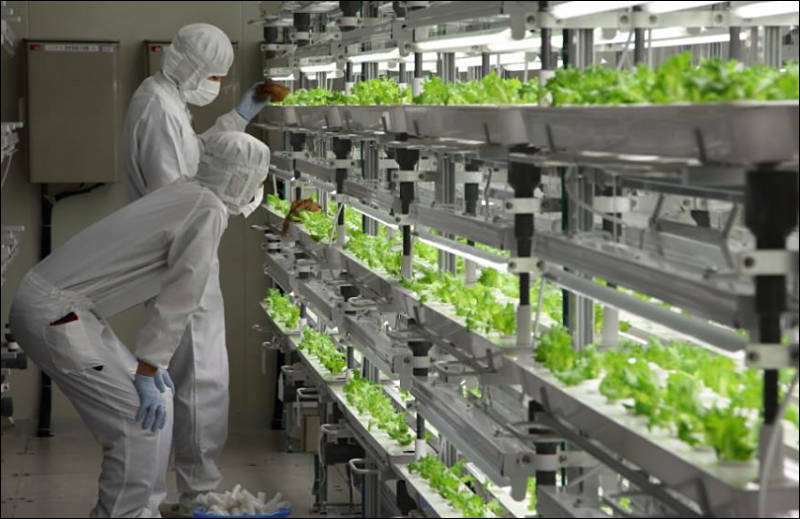 Toshiba plans to start shipping lettuce, baby leaf greens, spinach, mizuna, and other vegetables in the summer. Japanese multinational Sharp Corporation (TYO: 6753) has made forays into the horticultural industry as it seeks to capitalize on a strawberry production facility where it will grow Japanese varieties with high sugar content. The electronics designer and manufacturer has announced plans to commercialize the Dubai facility that was built in July on the property of its subsidiary Sharp Middle East Free Zone Establishment (SMEF).